In January, five WiTT Board members were the guest speakers at MTSU’s Association of Information Technology Professionals (AITP) meeting. Panelists gave their insight, guidance and perspective on various important topics in the tech Industry. The discussion included advice for bridging the gender gap, most important skills for a recent graduate, how to challenge yourself and keep your enthusiasm for your career alive, and many more excellent questions submitted by the students. "I just want to say a huge thank you from AITP and me personally! You guys did amazing, as I knew you would. I have already had students come, and tell me how much they enjoyed it. Students have cited things all of you said that has inspired them, or challenged them in some way. [One of the students] told me that listening to all of you inspired him, and helped him see that he too has something to offer not just the IT community, but the world." We will continue to partner with MTSU wherever they need us and look forward to more engagement opportunities where we can help inspire both female and male students. Exposure is a key to inspiring individuals and sparking interests in the field of technology. That's exactly what happened during the Hour of Code session that we conducted last year at Two Rivers Middle school. Nora Moses, the Library Media Specialist, had invited us to engage her students with a hands-on coding activity. After the session, she was so inspired that she later quit her job to pursue education in Technology. She is currently undergoing a program at Nashville Software School with aspiration to re-career in Software Development. Connie Sharp, the Librarian Training & Development Specialist who also attended the Hour of Code session last year, invited us to participate in October's Librarian Professional Development Day where we conducted a coding training session for the Librarians and Media Specialists at Metro Nashville Public Schools. We're excited to share these stories of how education and outreach introduced a new group of women to tech-related skillsets and job opportunities. Find out more about WiTT’s community outreach initiatives and how you can get involved. Thank you to all of our sponsors, volunteers, and players! The camp was a success! There were a total of twelve girls attending, ranging between fifth graders thru tenth. This was a unique program that provided the initial building blocks of creating Wearable Technology. The activities provided students with a unique opportunity to learn about the engineering process, computer programming, basic circuity and sewing. It was very rewarding seeing the young girls loving and getting excited about creating programmable e-textiles. How did you like this camp and what was your favorite part? I loved this camp! I really enjoyed sewing with the electrical thread. I never knew there was such thing and you can make a lot of different stuff light up! What do you think you will be pursuing as a field? I just wanted to say that this camp was one of my all-time favorite camps and I would definitely want to come back. I am also glad I got the opportunity to be part of this camp and it helped me learn several different things that I would have never known. Thank You so much! I loved it. I love to learn new things and this camp opened my eyes to the world of technology. Possibly technology after doing this camp. This camp was very fun and has taught me a lot. My favorite part was coding to make our development boards light up. Previously, I wanted to go into a medical career. But this camp has sparked my interest towards technological careers. Thank you for a wonderful time and all the things I have been taught. WiTT members, you don't want to miss this event! It is the same day as our regularly scheduled meeting. Our lunch, will include those who are also attending this conference. Take a look at the exciting agenda that has been put together and register for a day filled with fantastic information! Pathway Lending and Pathway WBC will be hosting its 2nd annual Tech Academy in partnership with Women in Technology of Tennessee with special guest and lunch key note speaker Mila Grigg of MODA Image and Brand Consulting. Nashville Girl Geek Dinner and sponsors, Google and Google Fiber, invite you to celebrate the coming together of the incredible organizations who serve the growing number of women present in our Nashville software and technology communities! The event will be held on April 20th from 5:30 PM - 8:00 PM at the Entrepreneur Center, who has graciously donated their space to us for this amazing event! We are celebrating the great work of these awesome organizations!! It is through the commitment of these organizations that we are seeing more women transition into careers in software or technology, are forging new and lasting relationships, are active in impacting change through outreach efforts to our youth, providing scholarships to our youth, and so much more. This is a month of celebration! This is a month to recognize us and be proud of the efforts to serve this amazing tech community we have in Nashville. 6:45-7:45 Let’s Get to Know One Another! Nashville, Tenn. Monday February 13, 2017: Women in Technology Tennessee (WiTT) recently announced the winners of a new, first of its kind, scholarship benefiting women in Computer Information System (CIS) majors at Middle Tennessee State University (MTSU). Partnering with CTS and Tractor Supply Company, WiTT has coordinated a $2,500 scholarship from each organization to help a qualifying female CIS major at MTSU who will also benefit from an internship at the company that selects her. Additionally, WiTT will match each scholarship with an additional $1,000, resulting in a $3,500 total scholarship for each candidate along with mentorship by professional women in technology. Itasca Liddell was named by Tractor Supply as the first winner of the new scholarship to help promote women in the computer sciences. Liddell is in the accelerated Bachelor’s and Master’s program in the Information Systems group at MTSU. She will be graduating with her Bachelor’s in May 2017, and continuing in the fall of 2017 to finish her Master of Science in Information Systems with a concentration in Business Analytics. CTS named Stephanie Henry as their inaugural recipient of the scholarship. Henry is a CIS major at MTSU. Henry started college as a pre-med biology major, but switched to CIS after she “fell in love” with her web development course. Henry was accepted into MTSU’s accelerated Master’s program and will earn her Bachelors and Masters in CIS in May 2018. MTSU: With an enrollment of about 23,000 students, MTSU is the largest university in the Tennessee Board of Regents system. We are also the number-one choice for our state's transfer students and the number-one provider of graduates to the Greater Nashville economy. We also lead the TBR system in total bachelor's degree graduates each year, and are tops among all state universities for adult graduates. Computer Information Systems (CIS) was established in 1972 as a department within the American Assembly of Collegiate Schools of Business (AACSB) accredited Jennings A. Jones College of Business. Since that time, it has continued to grow and is recognized throughout Middle Tennessee and the southeastern region of the United States as a progressive and competent program. Learn more atwww.mtsu.edu. CTS:CTS is a software consulting firm specializing in solving complex business problems with custom IT solutions. Since 1993, we have delivered Software Development, Business Intelligence, Quality Assurance, and Application Support solutions to enterprise clients across the Southeast. We deliver all engagements using only our full time staff of 350+ and our reliable, quality-driven approach. Headquartered in Birmingham, AL, CTS has offices in Nashville, TN, Chattanooga, TN, Charlotte, NC, Atlanta, GA, and Mobile, AL. Learn more atwww.askcts.com. Tractor Supply Company: Tractor Supply Company is the largest operator of rural lifestyle retail stores in the United States. The company operates over 1,500 retail stores in 49 states, employs more than 23,000 team members and is headquartered in Brentwood, Tenn. Its stock is traded on the NASDAQ exchange under the symbol "TSCO". We live by our mission, “To work hard, have fun and make money by providing legendary service and great products at everyday low prices.” Our culture—driven by our core Mission and Values—empowers each employee to use what they learn and pursue their goals in a collaborative, open environment. Lean more atwww.tractorsupply.com. 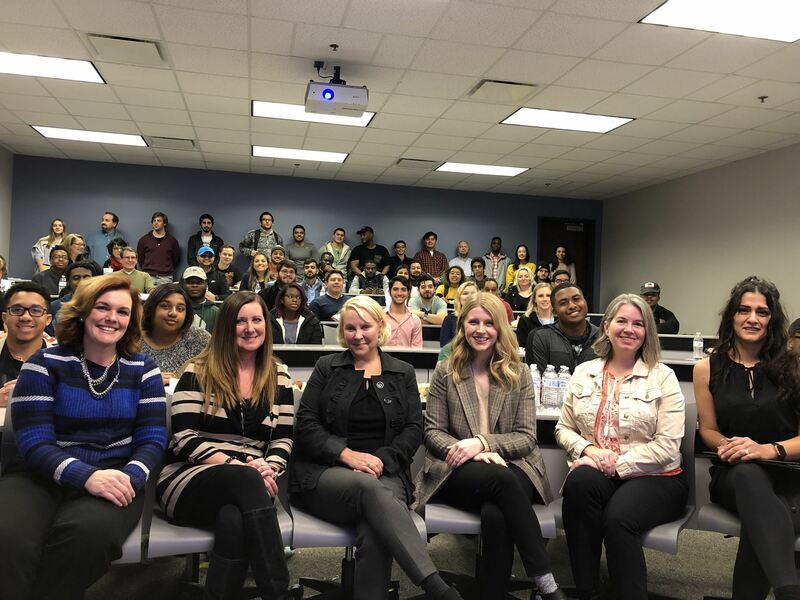 Women in Technology Tennessee: Women in Technology Tennessee (WiTT) is a nonprofit organization dedicated to creating new possibilities for women to advance and succeed in technology careers. WiTT provides a forum to empower women in technology through education, outreach, mentoring and networking. WiTT continues to evolve to meet the needs of professionals in a rapidly changing industry. Learn more at www.wittn.org. Do you know a high school senior? Looking for scholarship applicants! To enable the recipient to continue her education and pursue her ambition, in a science, technology, engineering or research focused career. Two scholarships will be awarded to students graduating from public or private high schools located in Tennessee. The winning award will be for $5,000 with the runner-up receiving $1,000. Scholarship recipients will be introduced and awards presented at TWISTER event on February 11, 2017 by representatives of Women in Technology of Tennessee. Be a female graduating senior of any Tennessee public, or approved private high school, or home school with a passion for technology. This scholarship requires that the applicant has at least a 3.0 weighted GPA on 4.0 scale; if another grading scale is utilized, applicants should work with their respective guidance counselor to calculate the GPA to a 4.0 scale. Winners will be announced at the closing ceremony of the TWISTER event on February 11, 2017. The Nashville Technology Council hosted "Hour of Code", a partnership with schools and local technology professionals during the official Computer Science Week (December 5-11th, 2016). The goal of the program is to engage students and teachers in order to spark an interest in technology and coding, while also educating students and teachers about the variety and availability of technology careers in Middle Tennessee. Joumana Rahime represented WiTT as one of the technology resources. Joumana thought that it was a great experience for our outreach efforts. "WiTT had taken the step this year to support the Computer Science Education Week and joined the global movement: Hour of Code. 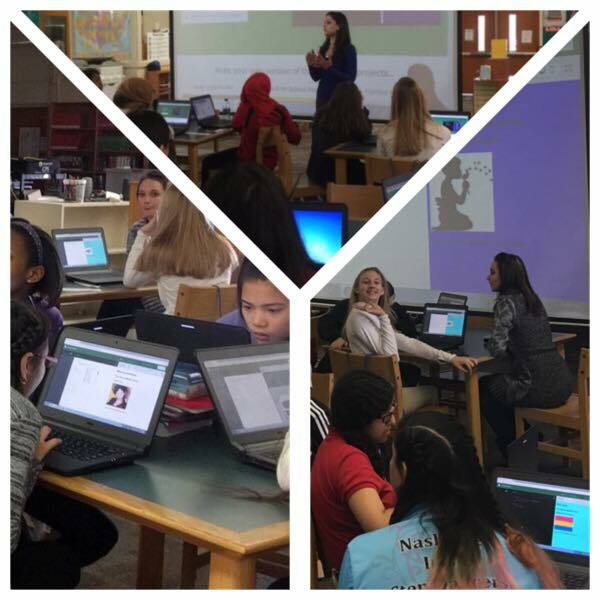 With a room full of excitement and inspiration, seventeen 8th grade girls at Two River Middle School learned how to code using HTML and CSS. As a result to their exposure to coding, the girls asked us to come back for more sessions and the sponsoring teacher also expressed an interest in learning coding so that she can provide more opportunities to her students!" 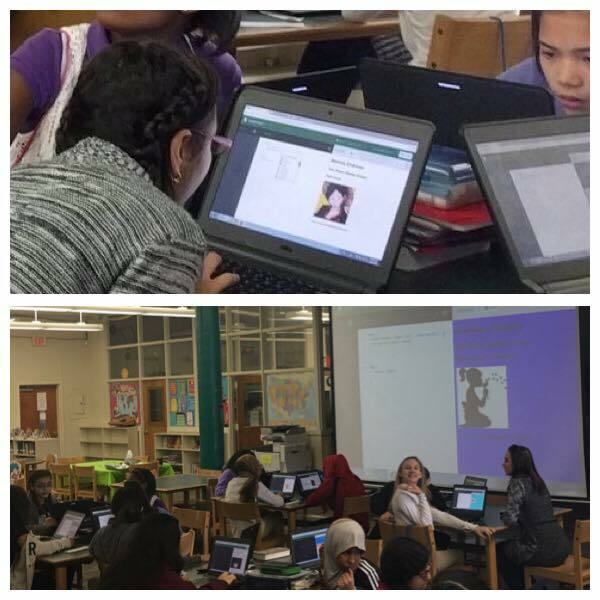 Nora Moser, Library Media Specialist at Two River Middle School, stated "We had the pleasure of hosting Joumana at Two Rivers Middle School. We had a class of seventeen 8th grade girls that lasted two hours. The girls were SO excited the entire time. All of them were on the edge of their seats creating their websites, and several have already asked me if we can do it again. These girls were exposed to a potential future that they didn't even know existed before today. Joumana also showed these girls what they can do to further their interests in the world of coding and technology. I am so glad that we decided to do this class with them. It has put such a big smile on my face seeing how excited these young girls got about coding!" Jasmin Abraham, a participant of the class, said "It was fun and I learned a lot of cool things. I enjoyed this a lot even though I knew little things about coding. Thanks to Ms. Rahime for coming to my school and taking the time to teach us all this awesome coding information. I would love it if I could learn more codes to make better websites." Meirola Endraws said "I loved today's session!! It was amazing, I am very interested in this. Hopefully, I can experience it later in life." And finally, Hudah Nur stated "This was fun and inspiring. I also want to learn how to animate or make a game in coding." Saturday, February 11, 2017 | 8 a.m. to 3:30 p.m.
TWISTER (Tennessee Women in Science, Technology, Engineering & Research) is a daylong professional conference for high school girls, presented by women working in Science, Technology, Engineering, Research, and Mathematics – related professions. TWISTER is seeking female role models currently working in a STEM-related field who would like the opportunity to positively impact high school girls interested in pursuing STEM higher education and careers. Presenters are asked to prepare and present a 55-minute session for 20-25 participants that includes details about their careers, educational pathways, and a hands-on activity relevant to their career or session topic. Interested in being a TWISTER Presenter? Visit www.adventuresci.org/TWISTER to submit an online application. Contact TWISTER@adventuresci.org with any questions. 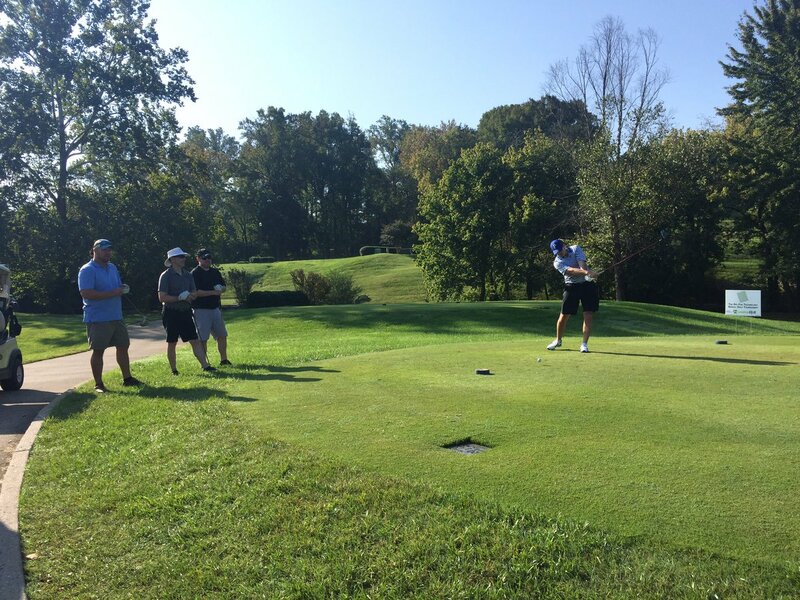 Is your organization interested in becoming a sponsor? Contact Tim Sears at (615) 401-5055 or tsears@adventuresci.org for more information.